The Harvard Alumni Association elects Scott A. Abell ’82; James E. Johnson ’83, J.D. ’86; Tracy P. Palandjian ’93, M.B.A. ’97; Swati Piramal, M.P.H. ’92; and Kathryn A. Taylor ’80 to serve six-year terms as Overseers. The School of Engineering and Applied Sciences announces a new master’s degree program in Computational Science and Engineering. President Obama names three Harvard researchers among the recipients of the Presidential Early Career Awards for Scientists and Engineers, the highest honor bestowed by the U.S. government on science and engineering professionals in the early stages of their independent research careers. The Harvard affiliates are Erez Lieberman Aiden, Ph.D. ’10, junior fellow of the Society of Fellows; Biju Parekkadan, Ph.D. ’08, assistant professor of surgery at Massachusetts General Hospital and Harvard Medical School; and Curtis Huttenhower, assistant professor of computational biology and bioinformatics at the Harvard School of Public Health. Faculty of Arts and Sciences Dean Michael D. Smith and Harvard College Dean Evelynn M. Hammonds announce the formal launch of House Renewal, indicating that Dunster House will be the first full House to be renewed. Construction is slated to begin in June 2014 and continue for 15 months (two summers and one academic year). 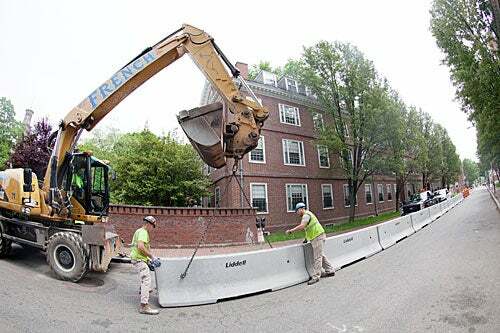 Dunster will be the third House Renewal project, following the neo-Georgian section of Quincy House, where construction has been under way since June 2012, and Leverett House’s McKinlock Hall, where renovations begin June 2013. School of Engineering and Applied Sciences Professor Michael P. Brenner is named a Simons Investigator — a five-year appointment with a grant of $100,000 for research support per year. SEAS Professor Steven C. Wofsy receives the American Geophysical Union’s Roger Revelle Medal for his contributions to the understanding of Earth’s climate systems. Dean Hammonds announces the appointment of Vanidy M. Bailey as director of bisexual, gay, lesbian, transgender, and queer (BGLTQ) student life. Xiao-Li Meng, Ph.D. ’90, the Whipple V.N. Jones Professor of Statistics and chair of the Department of Statistics, is named dean of the Graduate School of Arts and Sciences, effective Aug. 15. As the U.S. Supreme Court prepares to hear Fisher v. University of Texas, its first major affirmative action case since 2003, Harvard, in partnership with 13 other universities, files a brief defending the use of race and ethnicity as single factors in a holistic admissions review process, arguing that a diverse campus improves the educational experience. 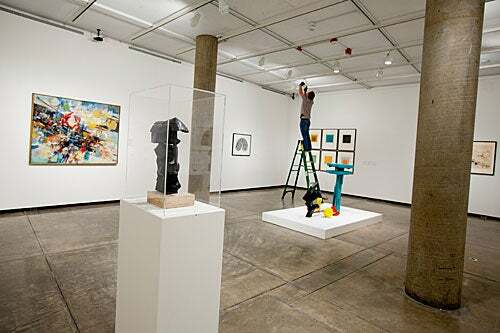 A new art exhibit opens a yearlong celebration of the Carpenter Center for the Visual Arts, the Le Corbusier-designed building that turns 50 in May 2013. For the first time, Harvard’s American Repertory Theater and the Yale Repertory Theatre collaborate on a stage production, the world premiere of “Marie Antoinette,” which opens in September. Harvard College announces that the Administrative Board is investigating allegations that a significant number of students enrolled in an undergraduate course the previous semester may have inappropriately collaborated on answers, or plagiarized their classmates’ responses, on the final exam for the course. EdX — a partnership between Harvard and MIT — launches its first-ever class, 6.002: “Circuits and Electronics.” In October, the popular CS50x: “Introduction to Computer Science” launches on HarvardX. Jessica Tuchman Mathews and Theodore V. Wells Jr. are elected the newest members of the Harvard Corporation. Mathews is an alumna and past trustee of Radcliffe College, and Wells is a graduate of Harvard Law School and Harvard Business School. All-star faculty from across the University take part in Harvard Thinks Green 2, a sustainability-focused event in which presenters each have 10 minutes to talk about their ideas on the environment. Faculty include Daniel Nocera, Amy Edmondson, James Anderson, Joseph Aldy, Joyce Rosenthal, and Daniel Schrag. Eric S. Maskin, a Nobel laureate whose work has had widespread impact on economics and aspects of political science, is named a University Professor, Harvard’s highest honor for a faculty member. The Rev. 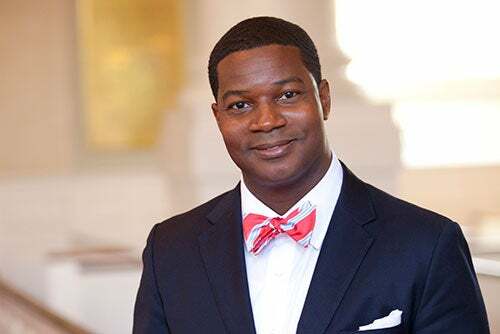 Jonathan L. Walton debuts as Pusey Minister of Harvard’s Memorial Church, telling his listeners to take actions that make a difference, based on their faith. Walton, who succeeded the late Rev. Peter J. Gomes in the influential pulpit, says he wants to “throw open” the doors of Memorial Church. The American Repertory Theater’s Loeb Drama Center hosts the premiere of “Death and the Civil War,” a documentary by Ric Burns, which was inspired by Harvard President Drew Faust’s book “This Republic of Suffering.” Diane Paulus, the artistic director of the A.R.T., introduces the screening and a discussion, and announces the start of a three-year program to explore ways to dramatize the conflict of 1861-1865. The Hutchins Family Foundation, which was endowed by Glenn Hutchins ’77, J.D. ’83, M.B.A. ’83, gives the University $30 million. The gift supports academic initiatives in the Faculty of Arts and Sciences and also launches the Hutchins Family Challenge Fund for House Renewal. Harvard releases its first-ever University-wide sustainability impact report. The online report includes interactive graphs and infographics displaying a variety of data, including information on greenhouse gas emissions, transportation, water, and waste covering all of Harvard’s Schools and administrative units. The James Si-Cheng Chao and Family Foundation makes a gift of $40 million to Harvard Business School to support student fellowships and build a new executive education center on the HBS campus. Alvin E. Roth, whose practical applications of mathematical theories have transformed markets ranging from public school assignments to kidney donations to medical resident job placements, wins the Nobel economics prize. Roth receives the prize for his work on the design and functioning of such markets, which was done in large part at Harvard. He shares the prize with Lloyd S. Shapley, A.B. ‘44, of UCLA. Raj Chetty ’00, Ph.D. ’03, professor of economics, and Benjamin Warf, M.D. ’84, associate professor of surgery at Harvard Medical School and director of the Neonatal and Congenital Anomaly Neurosurgery Program at Children’s Hospital Boston, receive 2012 MacArthur Foundation fellowships, more commonly known as “genius grants.” The honor comes with no-strings-attached grants of $500,000, paid over five years, which recipients may use to fund the creative, intellectual, and professional pursuits of their choice. Eric Jacobsen, the Sheldon Emery Professor of Chemistry, and Jenny Hoffman, an associate professor of physics, are named recipients of the 2012 Fannie Cox Prize for Excellence in Science Teaching. Harvard, with its 20,000 students and 500-plus buildings, closes down, along with the rest of the Eastern Seaboard, as Hurricane Sandy rolls over New England. Pulitzer Prize-winning poet Jorie Graham becomes the first American woman ever to win one of the U.K.’s most prestigious poetry accolades, the Forward Prize for best collection. Graham is the Boylston Professor of Rhetoric and Oratory in the English Department. Three significant gifts support the work of Atul Gawande, professor of health policy and management at the Harvard School of Public Health and a surgeon at Brigham and Women’s Hospital, and will help launch Ariadne Labs, a collaborative new research center aimed at patient safety and improved health systems. Donors include Mala Gaonkar ’91, Richard Menschel, M.B.A. ’59, and Blue Cross Blue Shield of Massachusetts. 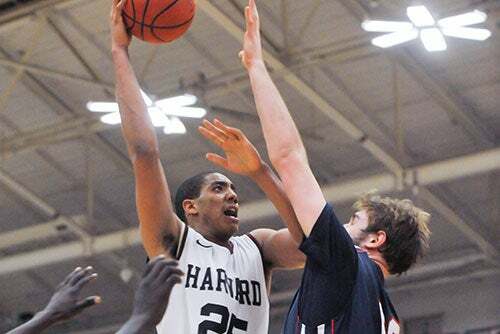 Six Harvard students — Aidan C. de B. Daly, Julian B. Gewirtz, Allan J. Hsiao, Benjamin B.H. Wilcox, Nina M. Yancy, and Phillip Z. Yao, all members of the Class of 2013 — are among the 32 American men and women chosen as Rhodes Scholars. In addition, a Harvard senior and two recent alumnae — one the sister of a 2004 winner — are named international Rhodes Scholars, and will join the six American Harvard students who will head to the University of Oxford next fall. The international Rhodes Scholars are Madeleine Ballard ’11, Naseemah Mohamed ’12, and Dalumuzi Mhlanga ’13. Harvard celebrates the grand opening of the Massachusetts Green High Power Computing Center, a collaborative project with four leading research universities, the Commonwealth of Massachusetts, Cisco, and EMC to build a super-efficient green computing center to support the University’s cutting-edge research needs. A total of 895 students are admitted on Dec. 13 to Harvard’s Class of 2017 under the Early Action program. This number represents an increase of 16 percent over last year, when 774 were admitted early. The number of Early Action applicants this year rose 14.7 percent from last year. Nobel Prize-winning author Toni Morrison speaks at Harvard Divinity School and at Sanders Theatre about how authors illuminate concepts of good and evil. She also examines the treatment of goodness in her own novels. Faculty of Arts and Sciences Dean Michael D. Smith appoints Jane Pickering executive director of the Harvard Museums of Science and Culture. The HMSC encompasses six partner museums: the Museum of Comparative Zoology, the Harvard University Herbaria, and the Mineralogical and Geological Museum (which have already been collaborating as the Harvard Museum of Natural History), and the Semitic Museum, the Peabody Museum of Archaeology and Ethnology, and the Collection of Historical Scientific Instruments. Kathleen McCartney, dean of the Harvard Graduate School of Education and the Gerald S. Lesser Professor in Early Childhood Development, is named the next president of Smith College. McCartney will continue as HGSE dean through the end of this academic year and assume the presidency of Smith on July 1. Aditya Balasubramanian ’13 and recent graduate Alex Palmer ’12 are named Marshall Scholars, one of the most prestigious academic honors, which is sponsored by the British government. The honor allows the students to study for two years at a college or university of their choice in the U.K.
Nearly 50 Harvard professors, students, doctors, and researchers travel to Allahabad, India, to study the Maha Kumbh Mela, a centuries-old Hindu festival and the largest human gathering in the world. Over several weeks, Harvard’s interdisciplinary research teams tackle questions of urban design, public health, anthropology, religion, and business at the temporary megacity, producing case studies, detailed maps, and epidemiological databases that shed light on the impressive but largely undocumented event. Actress Marion Cotillard comes to Cambridge to receive her Hasty Pudding award as the 2013 Woman of the Year. The ceremony honoring Hasty Pudding Man of the Year Kiefer Sutherland takes place a week later, despite the University closing due to Winter Storm Nemo, one of the worst blizzards to hit the city in years. The National Football League Players Association awards Harvard Medical School a $100 million grant to create a transformative 10-year initiative — the Harvard Integrated Program to Protect and Improve the Health of NFLPA Members. The program will marshal the intellectual, scientific, and medical expertise throughout Harvard to discover new approaches to diagnosing, treating, and preventing injuries and illnesses in both active and retired players. Cass Sunstein, widely regarded as one of the most influential legal scholars of his generation, is named a University Professor, Harvard’s highest honor for a faculty member. Robert A. Lue, professor of the practice of molecular and cellular biology, is named the inaugural Richard L. Menschel Faculty Director of the Derek Bok Center for Teaching and Learning, placing him at the forefront of efforts to rethink and support teaching and learning, both on campus and online. Daniel Schrag, director of the Harvard University Center for the Environment, moderates “Climate Change and Social Action,” which features a panel of faculty who say that activism for climate change has been a disappointment compared with other social movements. In conjunction with the Undergraduate Council and Harvard Library, Dean Hammonds sponsors the first in a series of three book talks in the Widener Library rotunda, featuring Professors John Dowling, Jennifer Hochschild, and Jill Lepore, and also hosts fireside chats with Henry Louis Gates Jr. and Matthew Nock to foster interaction between students and faculty outside the classroom. Susan Shallcross Swartz, an artist and social and environmental activist, and her husband, James R. Swartz ’64, donate $10 million to Harvard Divinity School. The gift will establish the Susan Shallcross Swartz Endowment for Christian Studies, which will fund new professorships and support fellowships and programming in the classroom and in the field. Harvard joins with three other universities and five theaters in the National Civil War Project, a multiyear collaboration that will use the arts to reimagine America’s transformative conflict of 150 years ago. Collaborators on the project will convene national conferences, expert roundtables, community programs, and public discussions. The project also will include student exhibitions and playwriting projects. Wyss Institute Founding Director Donald Ingber receives the NC3Rs 3Rs Prize from the U.K.’s National Centre for the Replacement, Refinement, and Reduction of Animals in Research for his innovative Lung-on-a-Chip — a microdevice lined by human cells that recapitulates complex functions of the living lung. Nicole Scherzinger, an advocate for people with special needs and breast cancer research, a classically trained opera singer, and a former Pussycat Doll, is awarded the Harvard Foundation’s most prestigious medal at the 28th annual Cultural Rhythms festival. President Faust visits Hong Kong and South Korea, participating in an array of academic activities and alumni events. Faust meets with dignitaries from local universities, discusses edX with Hong Kong business and alumni leaders, and speaks with hundreds of alumni at Harvard Alumni Association events in both locales. The trip underscores the University’s longstanding involvement with Asia. The U.S. Department of the Navy presents Harvard President Drew Faust with the Navy Distinguished Public Service Award, its highest civilian honor, for the “selfless determination” she displayed in leading the move to formal recognition of the Reserve Officers’ Training Corps on Harvard’s campus after the military’s “don’t ask, don’t tell” policy was repealed in 2011. The men’s basketball team shocks the University of New Mexico in its first NCAA victory and second NCAA appearance. The team also nabs its third straight Ivy League title by defeating Cornell, 65-56, before a sold-out crowd at Lavietes Pavilion. Letters and email notifications of admission are sent to 2,029 students, 5.8 percent of the applicant pool of 35,023. “Unprecedented levels of financial aid played a major role in producing a record applicant pool and an admitted group that promises to be one of the best in Harvard’s history,” says William R. Fitzsimmons, dean of admissions and financial aid. Jeff Lichtman, the Jeremy R. Knowles Professor of Molecular and Cellular Biology and a world leader in using advanced imaging techniques to study the wiring of the brain and nervous system, is appointed the inaugural Santiago Ramón y Cajal Professor of Arts and Sciences. The position is intended to recognize a member of the Faculty of Arts and Sciences for groundbreaking research. Harvard College increases its financial aid budget for the 2013-14 academic year by $10 million, or 5.8 percent, bringing the total to a record $182 million. Since 2007, Harvard’s investment in financial aid for undergraduates at the College has increased by 88 percent. enrollees (top countries: India, U.K., Brazil, and Spain). New Harvard School of Public Health research suggests that roughly 180,000 obesity-related deaths worldwide — including those of 25,000 Americans — are associated with the consumption of sugary drinks. 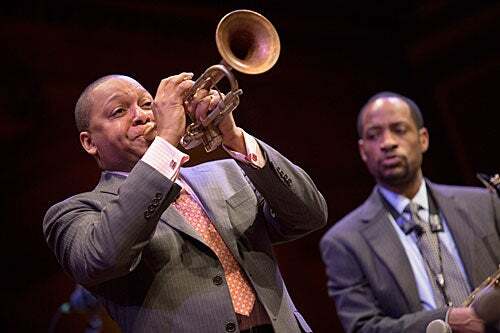 Wynton Marsalis returns to campus to continue his two-year lecture series, “Hidden in Plain View: Meanings in American Music,” with lecture-performances and a master class for more than 100 local high school students at the Boston Arts Academy. Harvard Business School celebrates 50 years of women in its M.B.A. program with a summit drawing hundreds of the School’s female graduates to campus. The summit features Facebook COO and best-selling author Sheryl Sandberg delivering the keynote address to a packed house. Huntington D. Lambert is appointed dean of Harvard’s Division of Continuing Education. Lambert replaces Michael Shinagel, who retires after 38 years as dean. David Barron, the S. William Green Professor of Public Law at Harvard Law School, agrees to lead a task force to consider and recommend appropriate policies regarding access to, and confidentiality of, electronic communications that rely on University information systems. Eight finalists are selected in the inaugural Deans’ Health and Life Sciences Challenge, which invited Harvard students and postdoctoral fellows from across Harvard’s Schools to develop entrepreneurial solutions that facilitate the delivery of affordable health care and the development of new and effective therapies for global populations. Harvard School of Public Health Dean Julio Frenk joins hundreds of scientists, doctors, and technical experts from around the world to launch the Scientific Declaration on Polio Eradication. The declaration emphasizes the achievability of polio eradication by 2018. A team of researchers led by Harvard Stem Cell Institute Co-Director Doug Melton discover a hormone that holds promise for a dramatically more effective treatment of type 2 diabetes, a metabolic illness afflicting an estimated 26 million Americans. The researchers believe that the hormone might also have a role in treating type 1, or juvenile, diabetes. Hundreds are injured and three are killed in bombings at the Boston Marathon, including Krystle Campbell, 29, the daughter of longtime Harvard Business School (HBS) Restaurant Associates employee Patty Campbell and sister of Cabot House dining services staffer Billy Campbell. HBS holds a moment of silence on the steps of Baker Library, where HBS Dean Nitin Nohria announces the news of Campbell’s death to roughly 200 community members and many of the Campbell family’s co-workers. 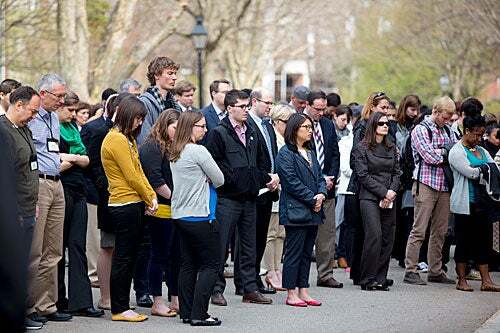 Harvard students, faculty, and staff attend vigils for Campbell and the bombing victims. At each venue, sadness is mixed with hope, and tears with resolve. During the search for the surviving Boston Marathon bombing suspect, Harvard shuts down, along with 87 square miles of Greater Boston, as government officials request. As a consequence of the lockdown, Visitas, Harvard College’s planned program for newly admitted students, is canceled, even as students and families are en route. Members of the Harvard community take to Twitter in force, using the hashtag #virtualvisitas, to reach out to the students. Throughout the day, tweets pour in from Harvard faculty, students, alumni, and staff who encourage students with questions to get in touch. Harvard officials greet the students at Logan Airport, explaining the situation and making arrangements for the visitors. 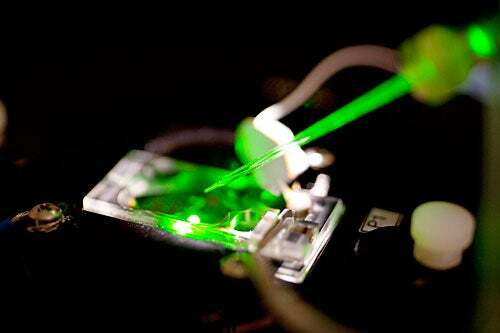 Using a new, stem cell-based, drug-screening technology that could reinvent and greatly reduce the cost of developing pharmaceuticals, researchers at the Harvard Stem Cell Institute find a compound that is more effective in protecting the neurons killed in amyotrophic lateral sclerosis (ALS) than are two drugs that failed in human clinical trials after large sums were invested in them. The Radcliffe Gymnasium is renamed the Knafel Center in honor of Sidney R. Knafel ’52, M.B.A. ’54, and in recognition of the center’s increasing role in promoting intellectual exchange across Harvard’s Schools and with the public. The Blavatnik Family Foundation, headed by Len Blavatnik, M.B.A. ’89, donates $50 million to Harvard. The gift will launch a major initiative to expedite the development of basic science discoveries into new breakthrough therapies for patients and cures for disease. The gift underpins Harvard’s growing commitment to creating an entrepreneurial culture in the life sciences. As part of President Faust’s Common Spaces initiative, Harvard officials welcome the reopening of the Science Center Plaza after a reconstruction project and dedicate a new space at Memorial Church called the Porch. Designed to be an open, flexible space, the science plaza will host performances and serve as an outdoor movie venue. Food trucks will also line the area with the return of the Harvard Farmers’ Market in June. Two HSCI researchers — Richard T. Lee, a Harvard Medical School professor at Brigham and Women’s Hospital, and Amy Wagers, a professor in Harvard’s Department of Stem Cell and Regenerative Biology — identify a protein in the blood of mice and humans that may prove to be the first effective treatment for the form of age-related heart failure that affects millions of Americans. When the protein, called GDF-11, was injected into old mice, which develop thickened heart walls in a manner similar to aging humans, the hearts were reduced in size and thickness, resembling the healthy hearts of younger mice. In the culmination of a decade’s work, robotic flying insects developed in Charles River Professor of Engineering and Applied Sciences Rob Wood’s lab achieves vertical takeoff, hovering, and steering. Harvard’s Wyss Institute for Biologically Inspired Engineering announces that Hansjörg Wyss (M.B.A. ’65), the entrepreneur and philanthropist who enabled the institute’s creation in 2009 with a $125 million gift, has donated a second $125 million gift to the University to further advance the institute’s pioneering work. 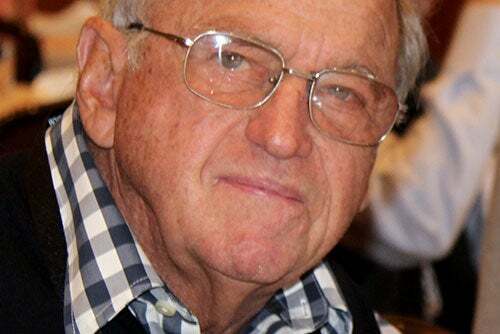 Hansjörg Wyss, M.B.A. ’65, the entrepreneur and philanthropist who enabled the Wyss Institute’s creation in 2009 with a $125 million gift, donates a second $125 million gift to the University to further advance the institute’s pioneering work. Loeb fellow Helen Marriage, Graduate School of Design students Judy Fulton, Hokan Wong, and Wes Thomas, and Lucy Cheng ’17 are named the winners of the inaugural Deans’ Cultural Entrepreneurship Challenge. The group won for Musey, an online platform that helps people find art in their vicinity, learn more about the artists, and even donate to projects, replacing the traditional busker’s empty hat with an app. Diana Sorensen is named one of four new trustees of the National Humanities Center, one of the leading institutes for advanced study in the world and the only one dedicated exclusively to the humanities. Sorensen, Harvard’s dean of arts and humanities and the James F. Rothenberg Professor of Romance Languages and Literatures, is a decorated scholar of Latin American literature and culture, and has published extensively on these subjects. Six Harvard faculty members, two from the Faculty of Arts and Sciences and four from Harvard Medical School, are named Howard Hughes Medical Institute Investigators, a prestigious five-year appointment with generous funding. The current Arthur M. Sackler Museum galleries, which feature highlights from the Harvard Art Museums collections, will close at the end of regular hours on June 1 in order for the museums to conduct the final phases of their renovation and expansion project on Quincy Street. When complete in the fall of 2014, the new state-of-the-art facility designed by architect Renzo Piano will house all three of the Harvard Art Museums: the Fogg, Busch-Reisinger, and the Arthur M. Sackler. Richard J. Murnane, the Juliana W. and William Foss Thompson Professor of Education and Society at the Harvard Graduate School of Education, is named acting dean of the School when Dean Kathleen McCartney leaves Harvard to become president of Smith College. Murnane will serve until the HGSE’s new dean is appointed and in place. Eighty-two percent of students admitted to the Class of 2017 plan to enroll at Harvard this August. This is the highest yield since the Class of 1973 entered approximately two generations ago. The yield for the Class of 2016 was 80.2 percent. President Faust names Team Nucleik the grand prize winner of the President’s Challenge for social entrepreneurship, hosted by the i-lab. Team Nucleik will receive $70,000 to support its emerging business based on the software management information system team members developed while at Harvard for law enforcement officers.